Emily Tilander is a determined young actress and a recent graduate of Widdifield secondary school in North bay, ON. 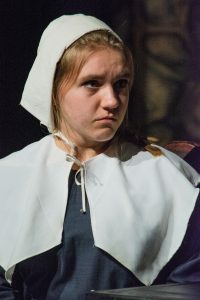 During high school Emily was part of many productions produced by youth theatre programs; Toros and Summer Challenge, including Chicago: High school Edition, Big Fish, and School of Rock. Emily has twice appeared at the On the Edge Fringe festival, first in Penguin! and then in the winner of Best of Fringe: Audience Choice, Now You’re Acting. 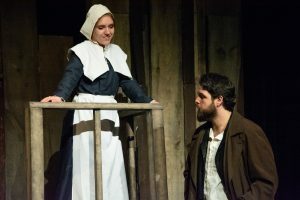 Emily recently played Abigail Williams in The Sun Dog Theatre Festival’s first year flagship production of Arthur Miller’s The Crucible. Emily is currently working as Stage Manager for the Proscenium Club, joining the company on the 2018/2019 Ontario tour of Sit, James.